Awhile ago when I reviewed HITS Hermes and was a little disappointed, one of my readers (Katie from katie's handmade) suggested that I try out Hefesto (a holo topcoat) over my favorite gold. And I finally tried it! For these pictures, I used only one coat of Hefesto, but what's great about this combination is that you can add more coats of Hefesto to "tone down" the brassy gold color. I wanted to keep the rich gold of Bite Me because it's one of my favorites. Usually saturated golds like this don't look very nice on, but this one is stunning. A little note: I took these pictures right after applying it. Over the next hour or so it developed a lot of bubbles! Has anybody else had this problem with the HITS No Olimpo collection? I had the same thing happen with Hermes, and it's pretty frustrating. 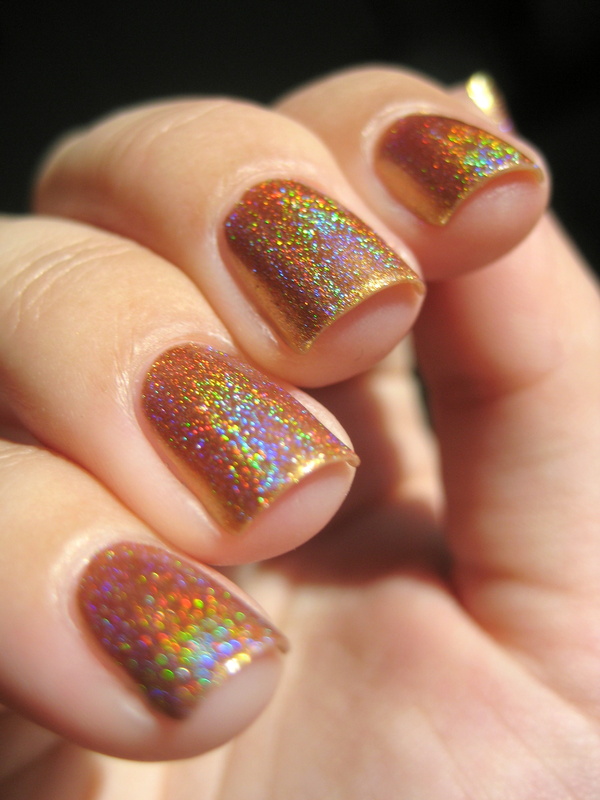 Also, they don't seem to dry nearly as fast as other holos I own. Here is a picture of Bite Me by itself from my previous post. I actually didn't know its name when I first posted about it because the bottom label only has a number! 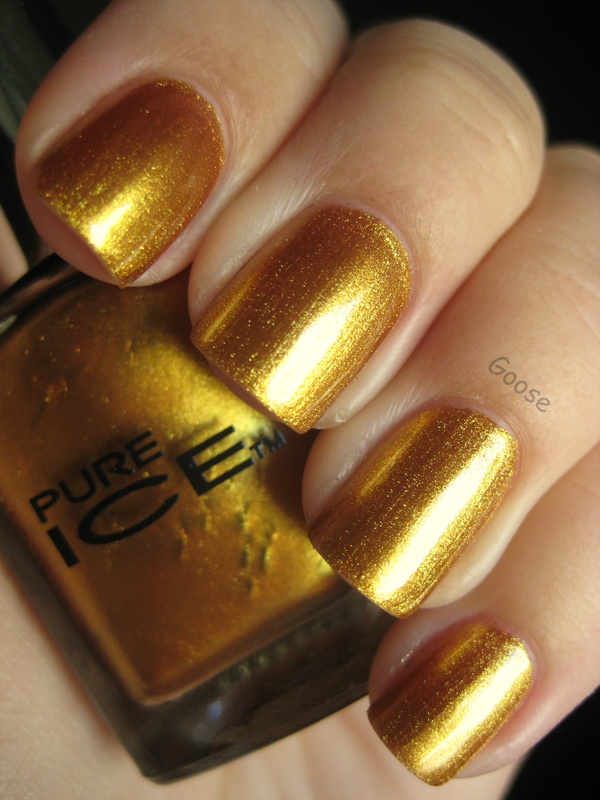 Pure Ice polishes can be found at most WalMarts and also on the Bari Cosmetics website. 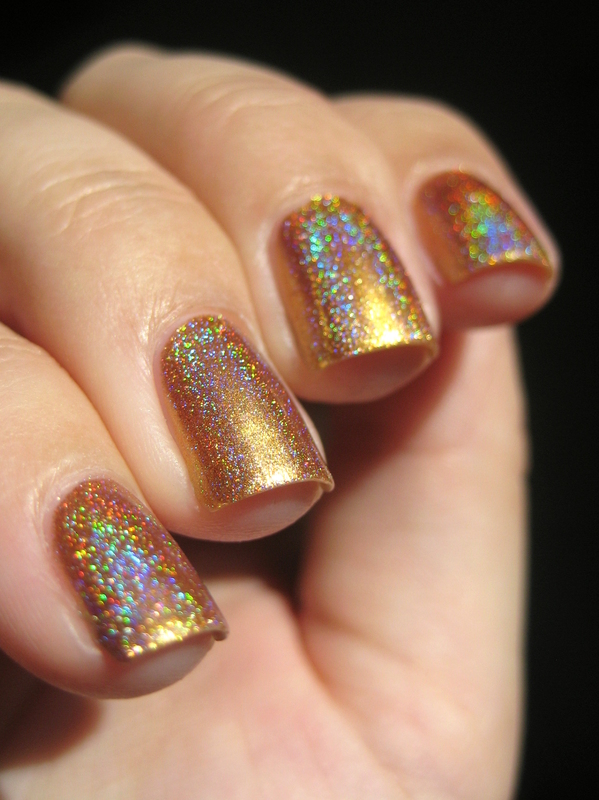 Hefesto can be purchased from Llarowe or Ninja Polish when it's in stock. Gorgeous combo, too bad about the bubbles. I don't have any experience with HITS myself :(. What a win of a combo! So stunning. Wow. Much better the combo! I have five holos from hits and that had never happened to me, but they dry slowly. wauw!!! this is freaking beautiful! 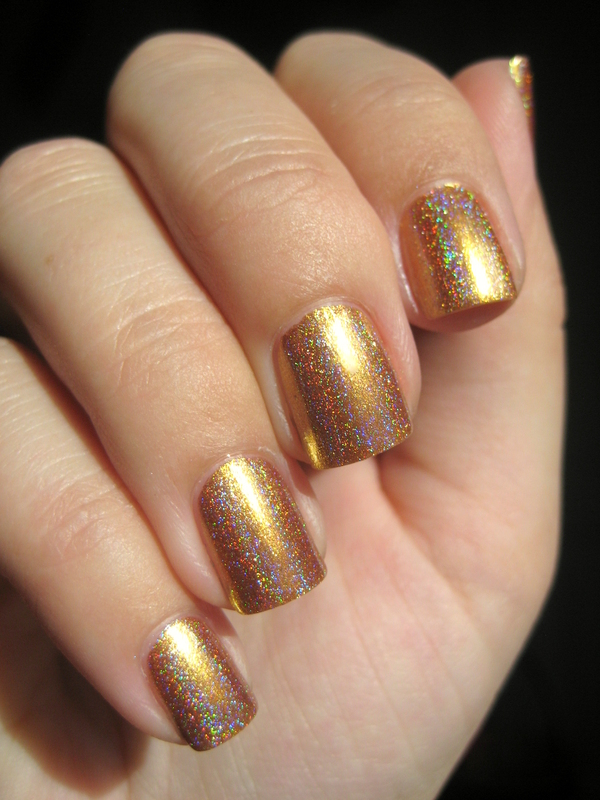 I love holos over gold. This is one of the prettiest I've seen. 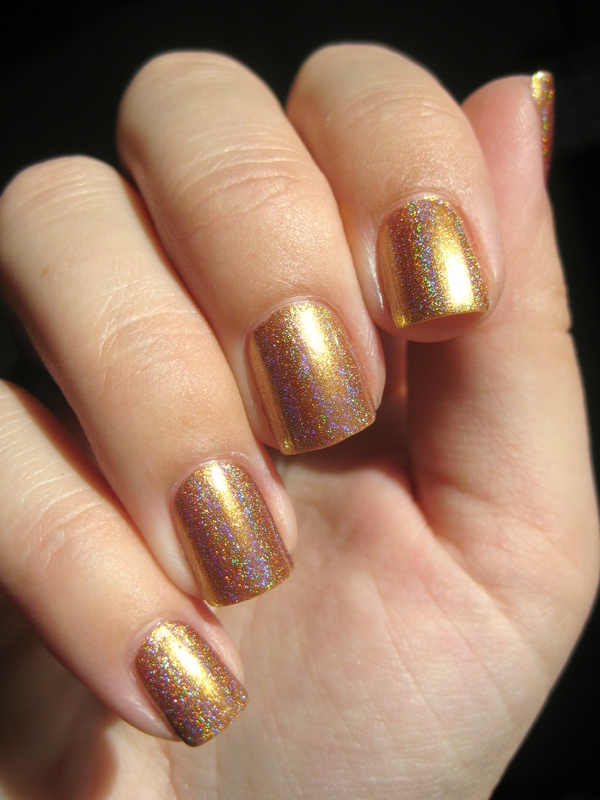 Wow I love this gold holo! So pretty! I have Hefesto, I will have to try this. I have 3 or 4 from that collection and thankfully no issues with bubbles yet in any of them.